Switzerland is one of my favourite countries on Earth. 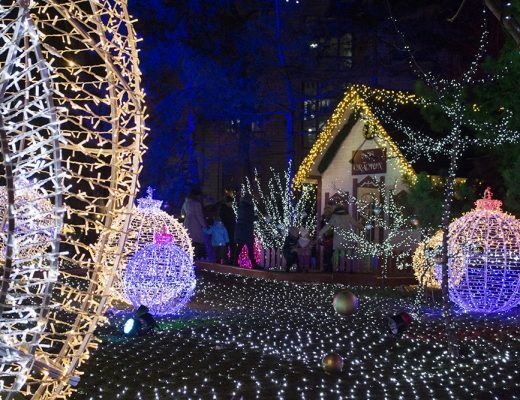 I mean, it’s just ridiculously beautiful – how could you not love it?! I have put off going back there for a while because it’s expensive, and I wanted to save up a little so I didn’t have to do the ‘budget’ experience (also because I wanted to eat aaaaaall the food). 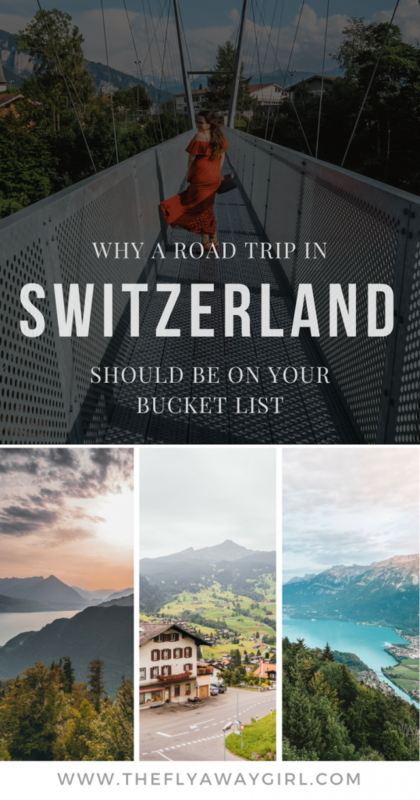 However, renting a car and doing a Switzerland road trip doesn’t need to cost an arm and a leg (or any other limbs) – so, grab some friends, rent a car and do one of the most epic road trips in Europe (and of your life)! Disclaimer: As always, I do get some experiences sponsored and also do have affiliate links on this blog. This helps to keep this blog going in order to provide you with all the awesome info you deserve! Of course, all opinions are 100% my own and I would never recommend something I don’t honestly believe is awesome. Thank you to Hertz Europe, The Passage (Basel), Basel Tourism and Mövenpick Zürich Regensdorf for making this Switzerland road trip incredible! Switzerland is a country of four languages – German, French, Italian, and the oft forgotten Romansh. We spent the majority of our time in the German-speaking part of Switzerland since we were flying in and out of Zürich (and also because it’s the largest region, at around 65%). However, even while in the German-speaking region, you still experience multiple cultures and traditions. Visiting Basel is an interesting experience. It was our first stop on our Switzerland trip and we both fell in love with the city! My travel companion, Yas, speaks French and so it was the perfect city for both of us to use our second languages. Looking for the ultimate road trip packing guide? This road trip packing list by Anisa will ensure you don’t forget anything! Basel actually has two main train stations – one is located in Switzerland and France and the other is located in Switzerland and Germany! Most people speak German (the official language in the canton and city) and English, and a lot speak French as well. It’s the most amazing and multilingual place! 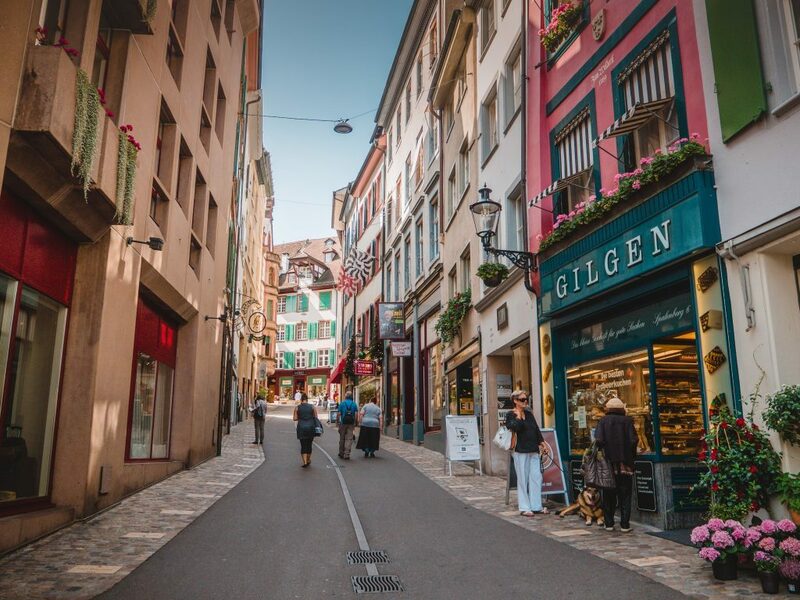 While being a city, it still has somewhat of a ‘small town’ feel about it – with a population of only 175,000 and small winding streets with the cutest patisseries and bookstores, it feels like a little town rather than the third largest city in Switzerland! I highly recommend visiting Walliser Kanne for delicious Swiss specialities – thank you Basel Tourism for the recommendation! Planning to stay in Basel? The Passage is a lovely urban retreat, ideally located in the centre of the city and within walking (or tram – you even get a ‘mobility card’, or a city travel pass, when you stay there) distance of all the major sightseeing spots. No Switzerland article is complete without a mention of the (occasionally) hair-raising and (always) ridiculously photogenic mountain roads. It’s even more impressing (read: occasionally terrifying) watching the locals drive them since they are used to the hairpin bends and steep gradient. We had an awesome Mercedes Benz from Hertz that was so smooth – definitely how to do a road trip in style! Note: I highly recommend MySwissAlps’ guide to driving on mountain roads. If you aren’t experienced with these sorts of roads, it’s an amazing guide to prepare yourself! If you’re lucky enough to be the passenger (like me), you get to see the most incredible views as your chauffeur (sorry, I mean ‘best friend’) navigates the twists and turns. But be nice and make sure to capture it on camera so you can show them later what they missed! (Or do what we did and take breaks in random small mountain villages, which may or may not include accidentally finding a wedding). 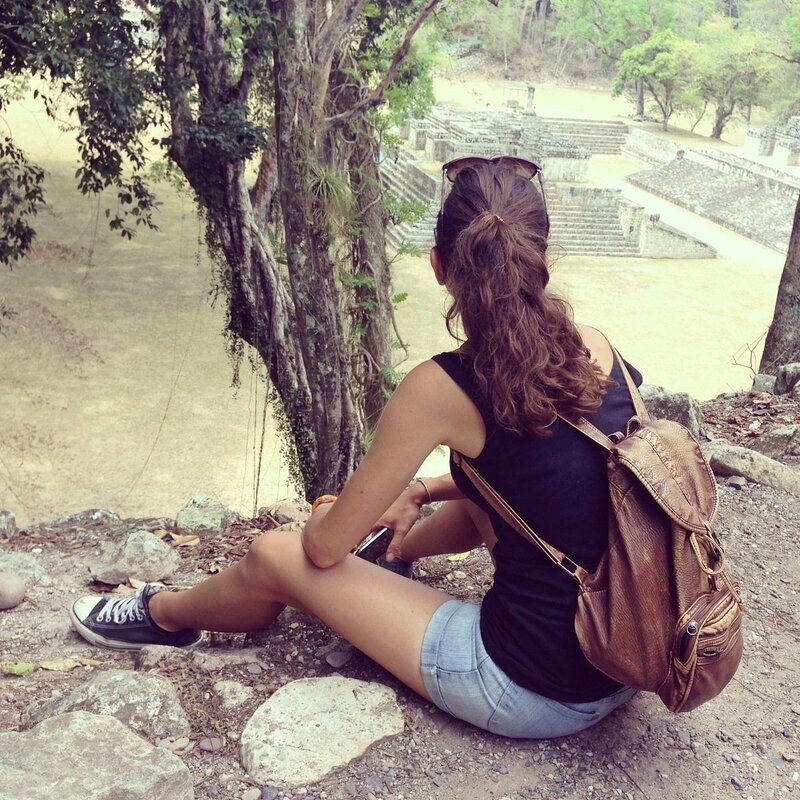 Want to get the guide we used for our trip? Get your copy of Switzerland: The Grand Tour now! Possibly my favourite thing about road trips! Want to spend more time in one region or city? No problem! You aren’t limited by a train schedule (even though the trains are amazing in Switzerland), the bus schedule or a specific route. You can do what we did and set your sat-nav to ‘avoid motorways’ and take the scenic route (and discover some gems along the way!). With Hertz’s NeverLost® Sat Nav, we were able to take the scenic route without any fear of getting ‘truly’ lost – the perfect mix of adventure without the worry of finding yourself somewhere in the mountains at night with no idea of where to go next! See something on the map or in your guidebook that looks interesting? No problem – simply take a detour! The flexibility of having your own transport is great, and bonus points for just being able to put all your luggage in the back and not have to carry it all or worry about it while on public transport. 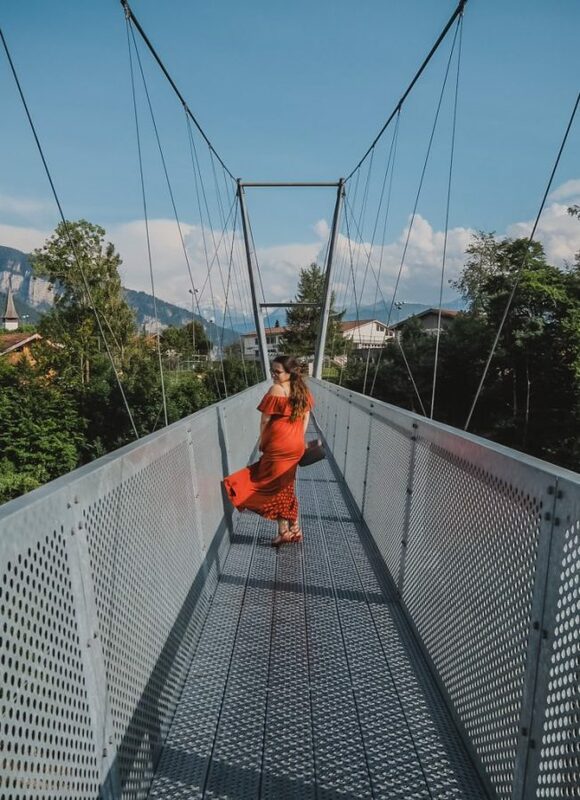 The Sigriswil Panorama Suspension bridge – a ‘scenic route’ stop on our Switzerland road trip! Even though we had a car, there are some places in Switzerland that are easier (or better!) experienced by train. We parked our rental car at Interlaken Ost station and took the train up to Grindelwald, which gave Yas a break to just enjoy the scenery. We later took the Harderbahn up to Harder Kulm, which is only possible by hiking or by the funicular. The parking for the entire day cost us a grand total of 5 Francs – not bad! 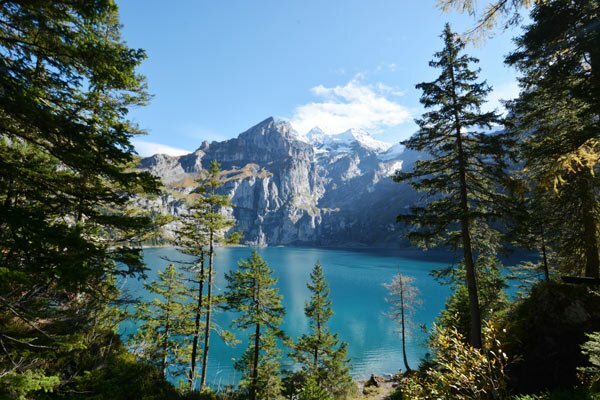 Although we ran out of time, you can also drive to Kandersteg and then take the cable car (or hike) to Oeschinensee (Lake Oeschinen), an incredible lake that I wish we had the time for! You can’t actually get to the lake by car, and Kandersteg is the furthest you can go. It’s easy to park in the town and then travel by the Gondelbahn (18 CHF one-way or 26 return) or hike 1.5 hours to reach the lake. 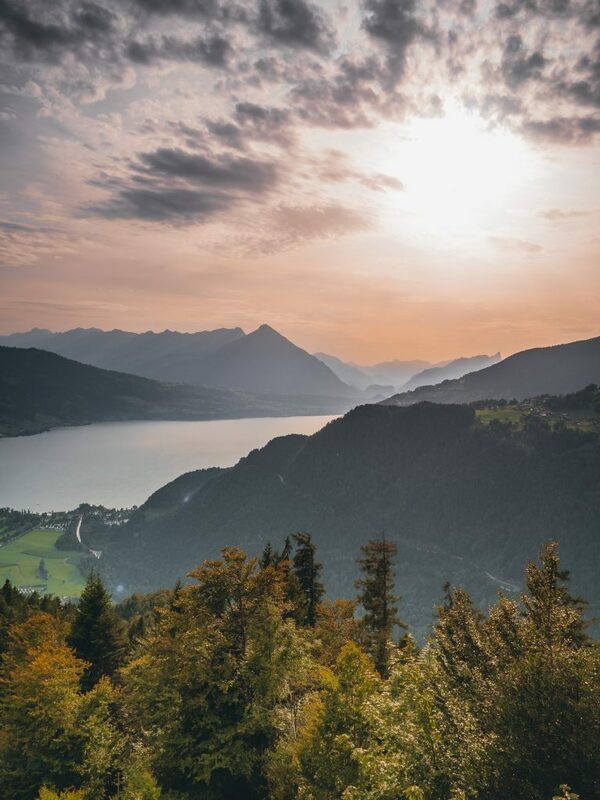 Another alternative form of transport that I would highly recommend is to take a boat trip on either Lake Thun (Thunersee) or Lake Brienz (Brienzersee). 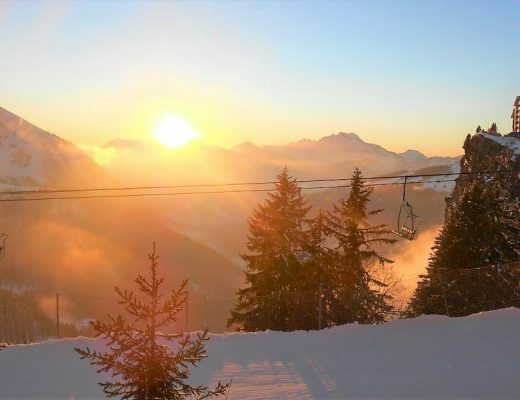 You can get a day ticket for both lakes for 70 CHF, or the Monday Special for only 39 CHF (as you probably guessed, this deal is available on Mondays only). If you don’t have that much time, then you can get single and return tickets for smaller trips on the lake(s), for example from Interlaken Ost to Bönigen is 16 CHF return, or Interlaken Ost to Iseltwald for 25 CHF return. This is a great way to take a break from driving and see the region from the lake! Note: Trips on Lake Thun start from Interlaken West, while trips on Lake Brienz start from Interlaken Ost! If you do the trip up to Grindelwald like we did, then you will want Interlaken Ost station. There’s something to be said for waking up in a comfy room with an amazing view of the mountains. 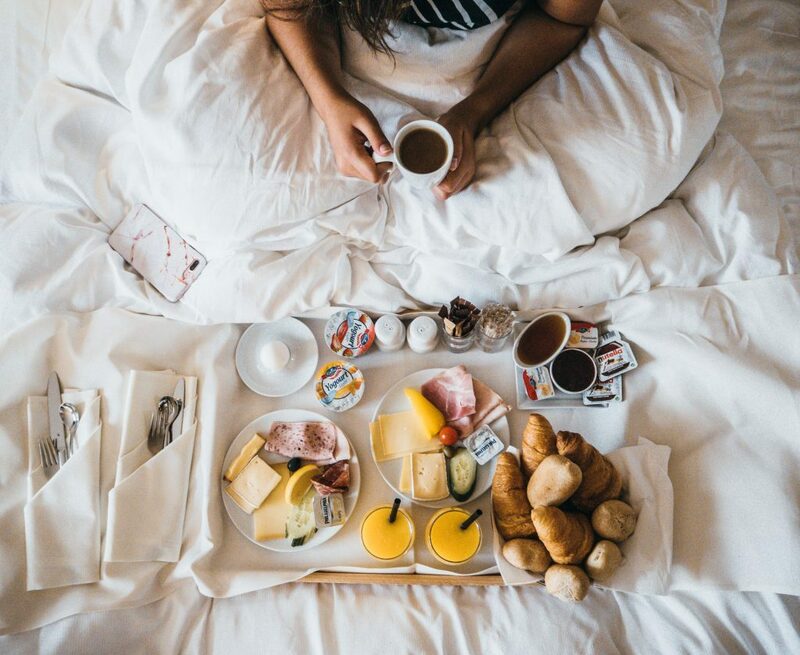 How about enjoying your breakfast with a view of the Bernese Alps? Check! 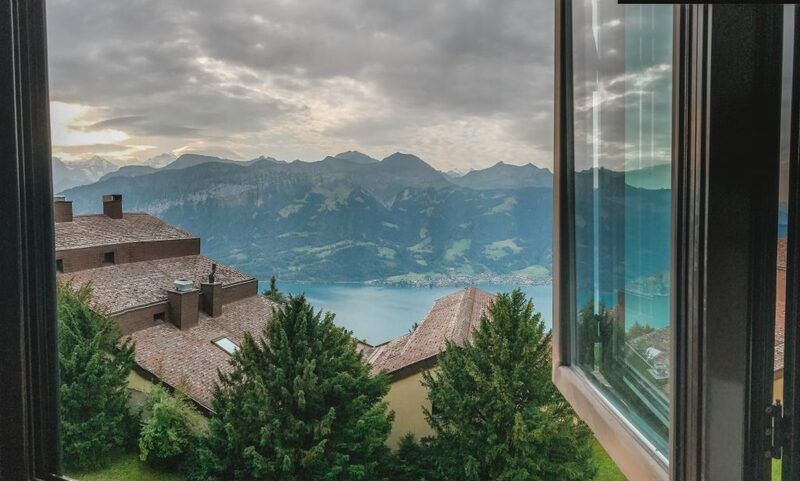 We stayed at the Dorint Blümlisalp Beatenberg-Interlaken, located in the village of Beatenberg in the mountains above Interlaken. We were pretty lucky to get a ground floor room, which meant we could just walk outside into a garden with the most amazing mountain views! To be entirely honest with you, it’s hard to take a bad photo of Switzerland. You’re either surrounded by impressive mountains and serene lakes, or by charming towns and villages. 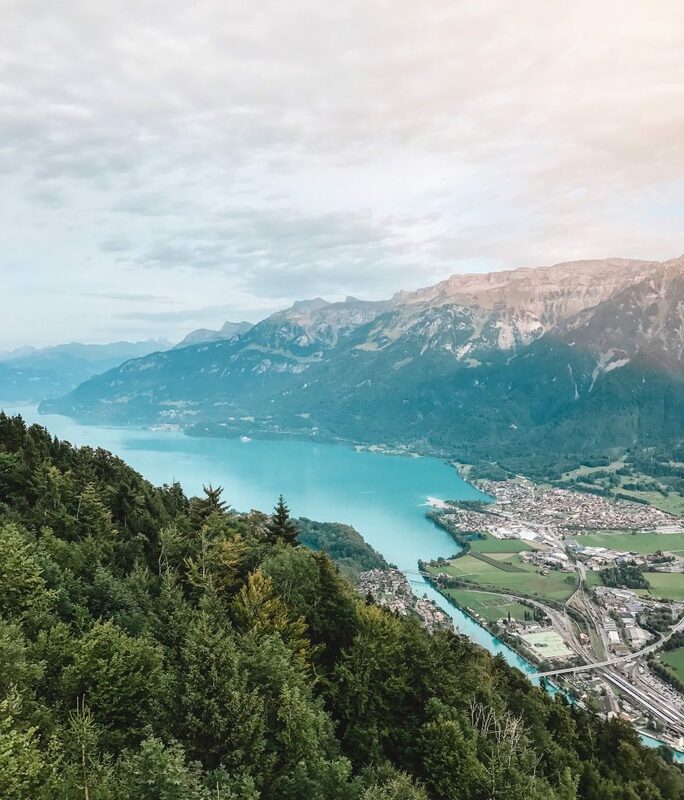 Usually, you’re in a combination of the above (such as a charming town on the edge of a serene lake and surrounded by impressive mountains – Interlaken, anyone?) and you could completely lose yourself in the beautiful scenery. It felt like every street in Basel and Zürich was a photo opportunity, with beautiful architecture complemented by wending rivers, plus the common sight of Swiss flags on most buildings. Add to the mix alpine gardens and snow-capped mountains… could this get any more beautiful?! Admittedly this one doesn’t matter whether you’re travelling by car, train, bike, bus or any other form of transport, but it still needs to be mentioned! I apologise to anyone vegan or with a dairy allergy (I am actually lactose intolerant but swear by my trusty lactase pills) because Switzerland’s cuisine is a dairy-full pit of awesomeness. 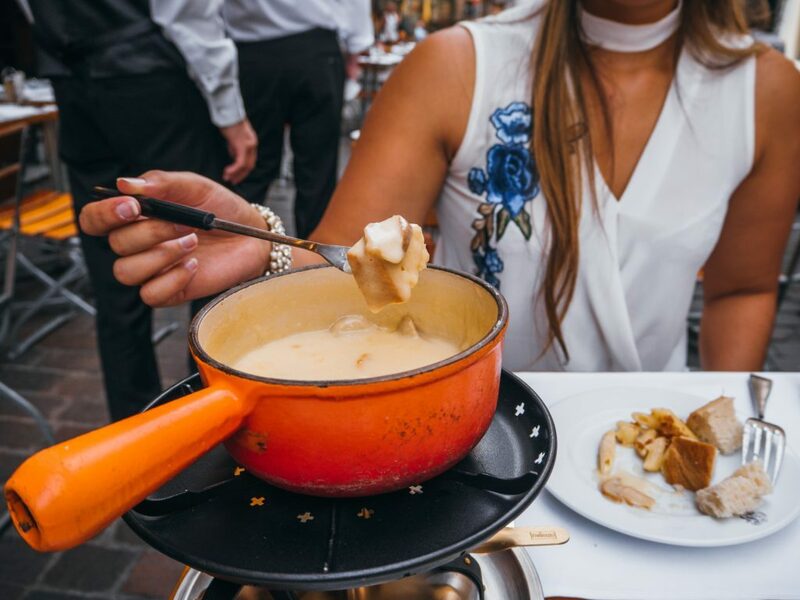 I mean, fondue (liquid cheese that you dip bread in) and rösti (pronounced ‘ruh-shtee’, and a deliciously comforting mix of grated potato with cheese and ham/bacon and often topped with a fried egg) and also the very Swiss love of all things chocolate. I’m pretty sure I ate rösti every single day of my trip… Scratch that, I’m very sure I ate it every single day. #GoodbyeBeachBody (not that it really existed before, but whatever). You’re also pretty screwed if you’re on a diet, because carbs are everywhere. EVERYWHERE. You have the above (bread dipped in cheese, potato mixed with cheese) and also dishes like Älplermagronen, a macaroni cheese type dish with macaroni (duh), potato (who doesn’t love their carbs topped with carbs), onion, bacon and cheese (of course). There’s also raclette, where melted cheese is sliced off over potatoes (yay more carbs) and probably pickles and onions too (in case you missed your vegetables). While in Switzerland, you shouldn’t miss out on trying their wine (undoubtedly there is one that pairs wonderfully with whatever cheese and carb dish you are eating) and their beer (if you ever happen to be in Zürich main station, don’t miss out on a visit to Brasserie Federal). There’s something about Switzerland that just makes you fall in love with the country. I don’t know whether it’s being able to pull over in a lay-by on a mountain road and take a break from driving and just hearing the sounds of birds and cowbells, or maybe it’s the ability to park in the middle of a town and within 10 minutes be 1,300km up a mountain. Maybe it is the charming towns or the crystal clear lakes, or maybe even the Swiss spa experience (which we hugely enjoyed at the Mövenpick Zürich Regensdorf – who doesn’t love a heated outdoor pool with two Jacuzzis?!). 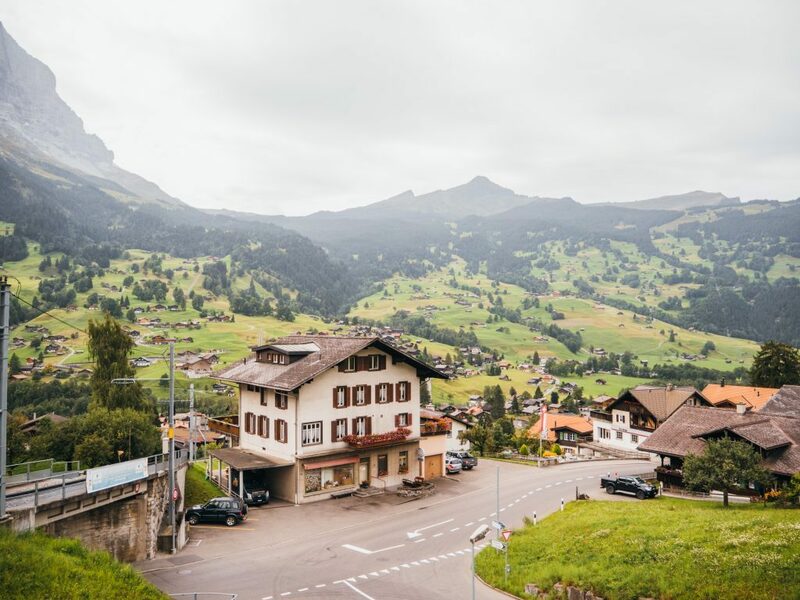 Whatever it is – a road trip in Switzerland is sure to be one of the best experiences you could have. Don’t forget to take the #RoadLessTraveled! 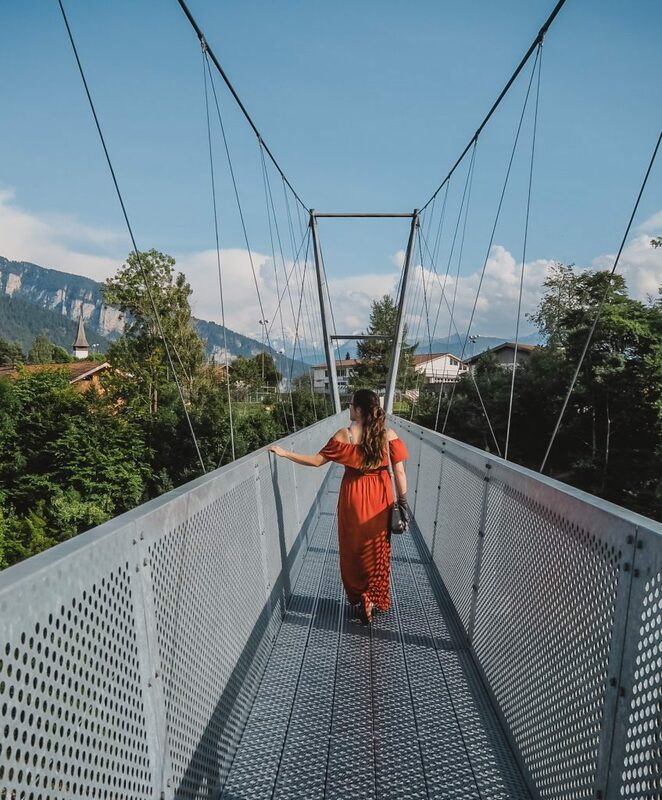 Everything in Switzerland just says ‘idyllic’ and, once you’ve been there, you’ll always want to go back! Have you ever been to Switzerland? Let me know in the comments! Thursday Flight Deals: London to….? Hi! I stumbled upon your blog from the photographers without borders website and am currently living in southern Switzerland! 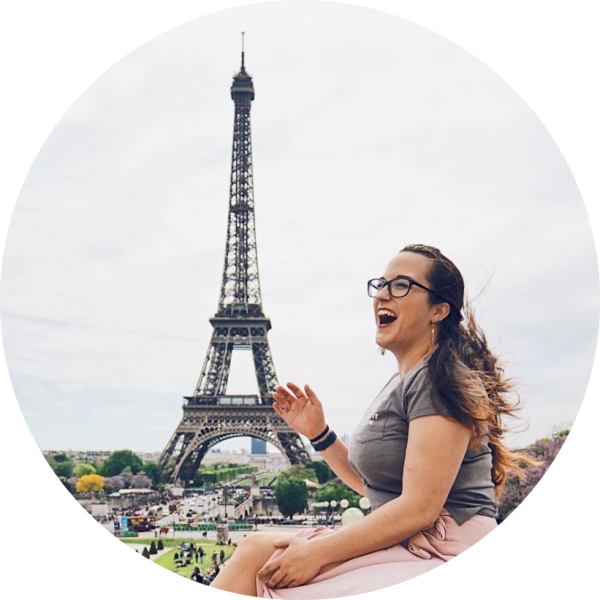 I’ve been having a hard time trying to find trains that are inexpensive… I’m finding it impossible to see Switzerland by train like so many blogs I’ve read have posted! How were you able to find cheap train tickets? The funiculars are pretty cheap, but a train ticket from the south to Lausanne can run $300 round trip! Do you have any suggestions? Hey! We did a road trip so we didn’t take many trains! I have heard that buying in advance or getting a rail pass can be cheaper! You can buy a swisspass for example 7 days for 300 Swissfranks, every bus and train in the country would be included. Check offers on http://www.sbb.ch, but still switzerland is a super expensive country but totaly worth a visit!